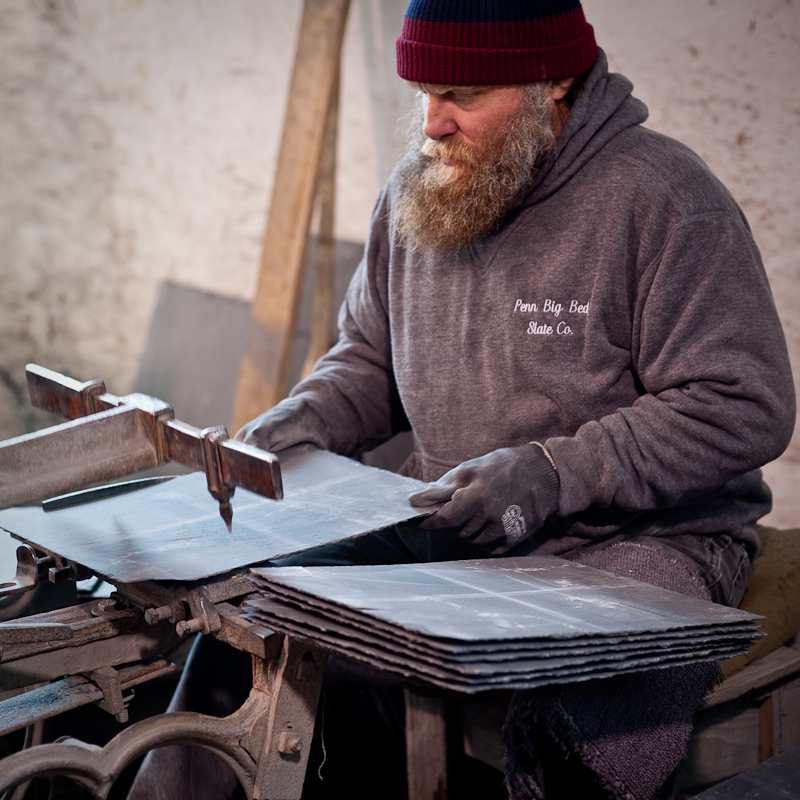 The Process - Penn Big Bed Slate Co.
PBBS’s slate bed is a cavernous valley of stone nearly six miles in depth. 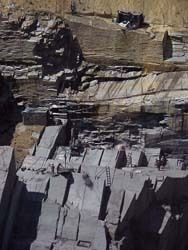 Crews of experienced quarrymen extract slate slabs of up to eight tons from the quarry. 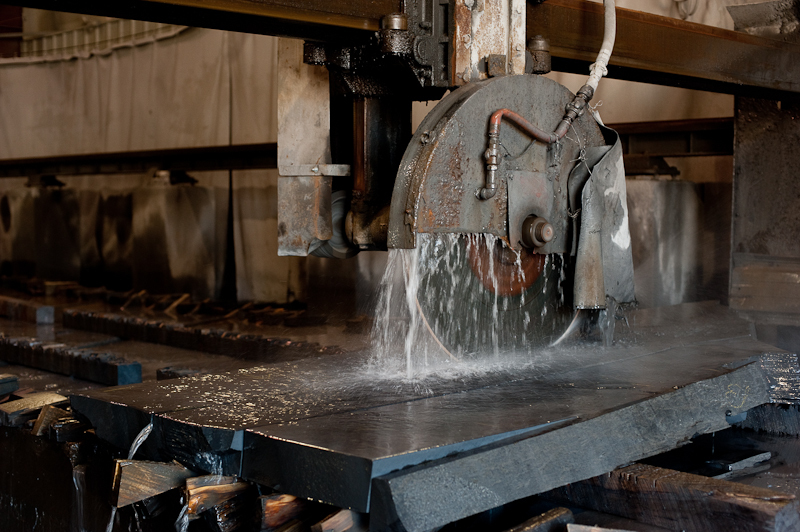 Each slab, following its extraction, is carefully handled and moved from the quarry to one of our manufacturing facilities where it is cut, split and shaped into its final product state before being shipped to customers. Please click on any of the photos to see the Process photo gallery. 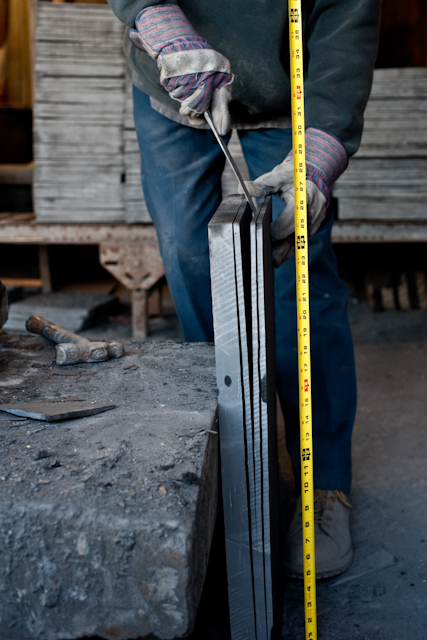 Once the enormous slabs of slate have been cut loose in the quarry, they must be handled with the utmost sensitivity and care. 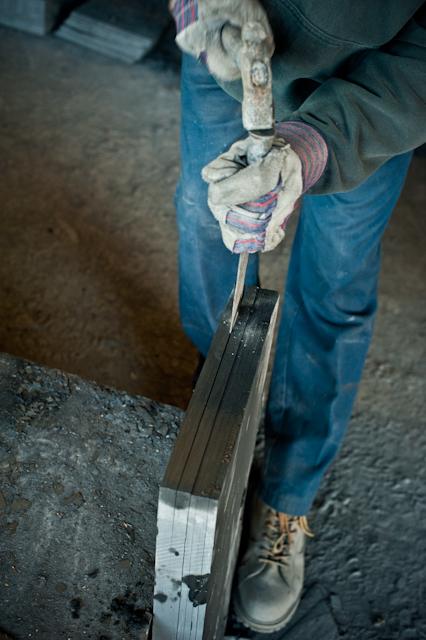 Every moment following the original cleaving of slate slabs is critical. 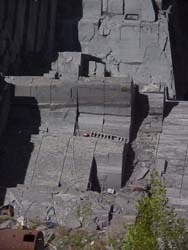 After the massive chunks of slate are cut loose from the quarry, they are split or cut down into more manageable blocks. 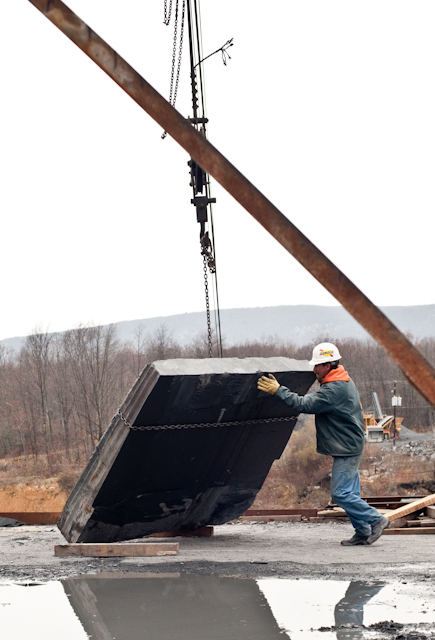 Once the blocks have been prepared, they are hoisted out of the quarry by crane and steel cable or loaded on trucks with an excavator. 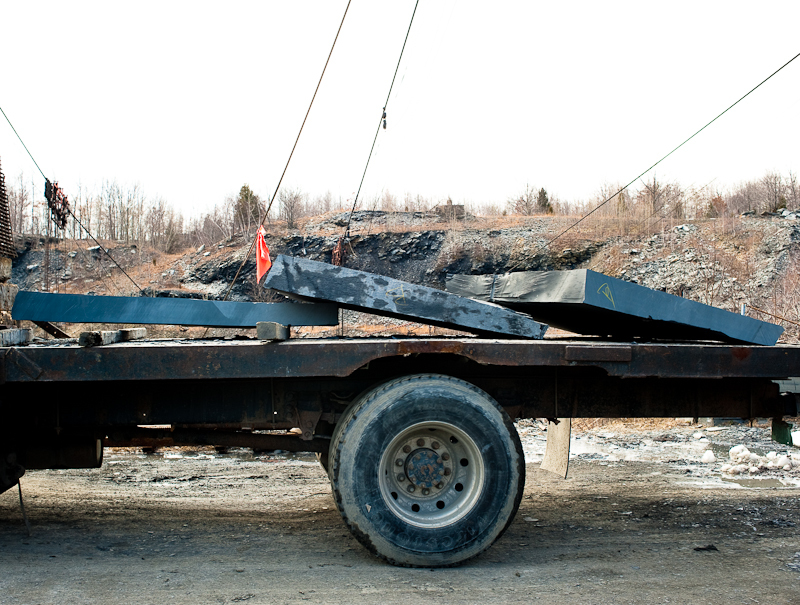 Because PBBS’s quarry is so deep, its crane operators are unable to maintain eye contact with the crane operator responsible for hoisting the slate blocks to the quarry’s landing. 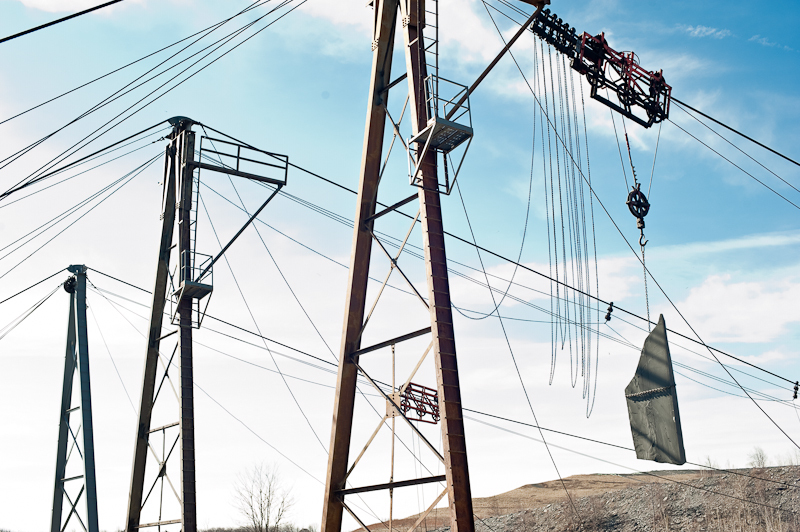 As a result, the quarry team has established signals and bell ringers to guide crane operators’ efforts in safely lifting each block from the quarry’s depths. 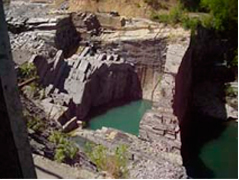 Nearly 50% of all slate that is quarried is waste or by-product, making the remaining stone even more valuable. The waste by-product is used for crushed stone. 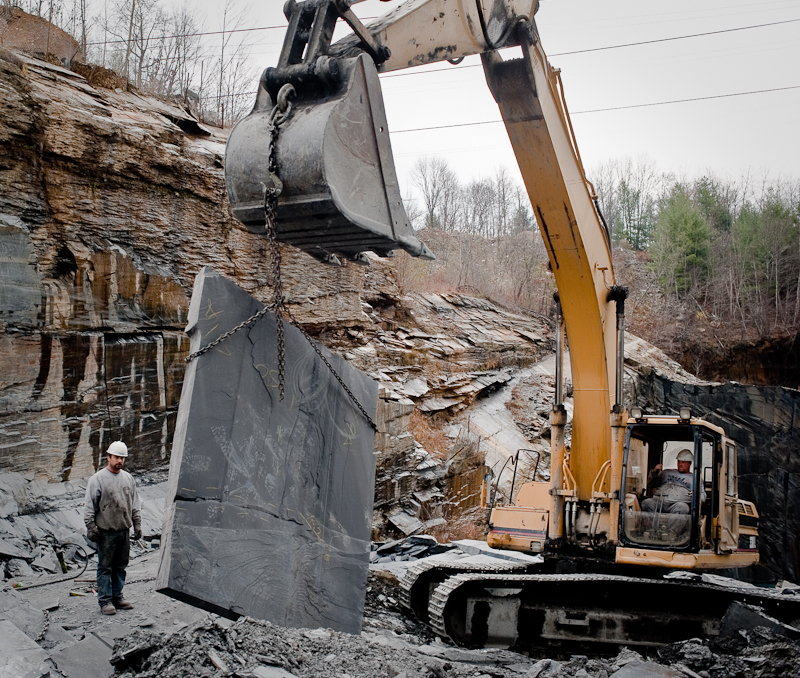 Slate is removed carefully from the quarry’s edge to the company’s manufacturing and processing mill, which is located near the edge of the quarry. 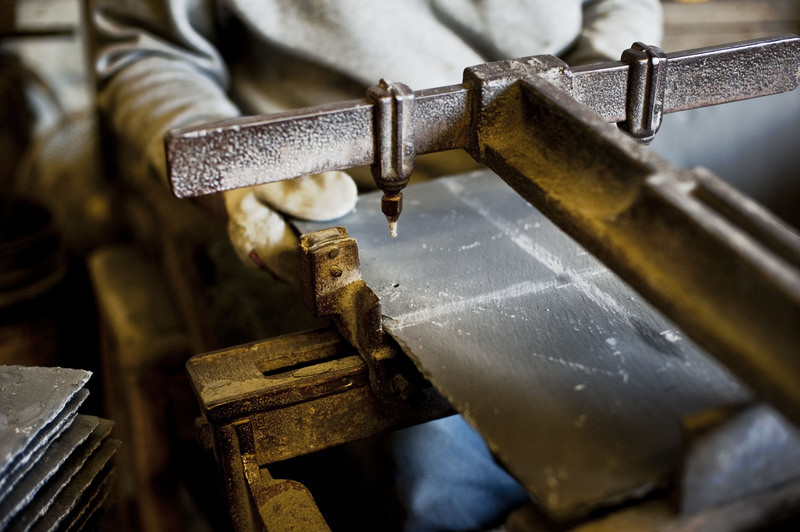 Once slabs are cut into blocks they are split by hand and move to the desired processing machine to make any of the many custom products. The freshly hewn slabs are extremely sensitive to environmental conditions and must be kept wet; otherwise it can not be “split” later, if it dries out. This fresh slate must be kept from freezing in the winter and drying too rapidly in summer and winter. 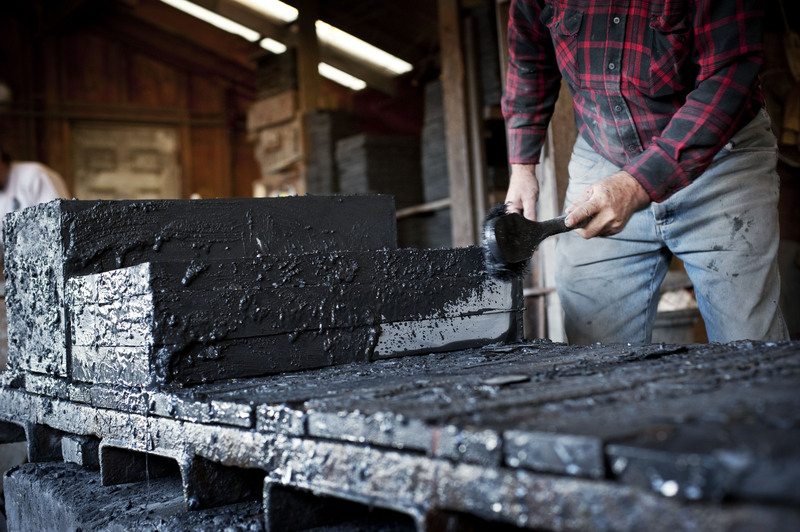 Roofing blocks are mudded or watered down to retain moisture and are sent to the roofing mill to be split and sorted. Then each piece goes to the trimmer to be cut to size and then punched. 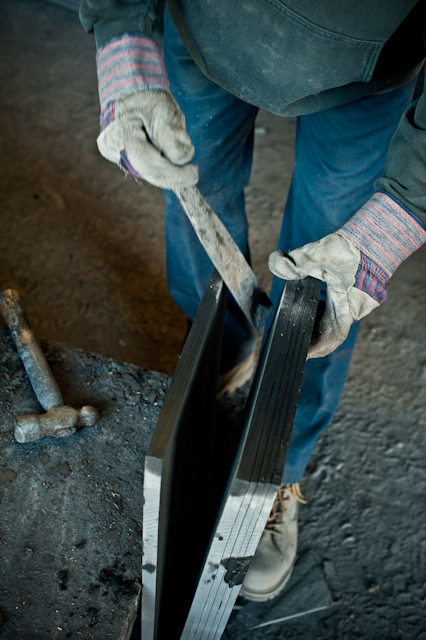 Although slate is a rock, it behaves more organically, almost like fine wood. 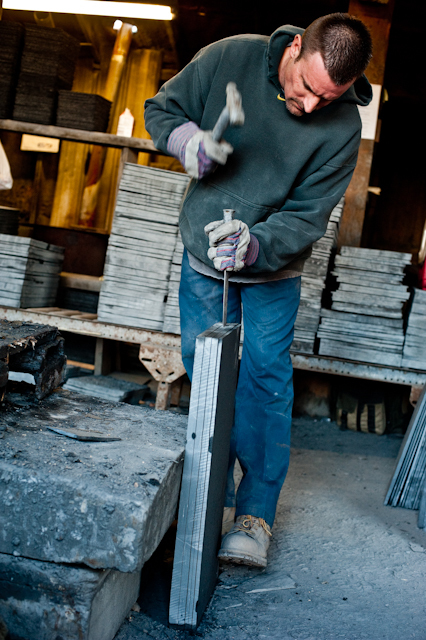 Windowsills, roofing slates, floor tiles, and stair treads, fireplace mantels, and turkey calls are some of the unique final applications for slate.